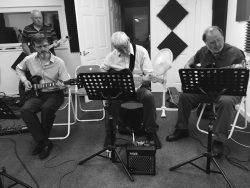 Maybe you are new to the guitar or perhaps you’ve been playing for a while and you’ve got some chords locked down but what you really want to do is make your instrument “cry or sing” (Mr Knopfler) then the Igloo Lead Guitar Club is for you! 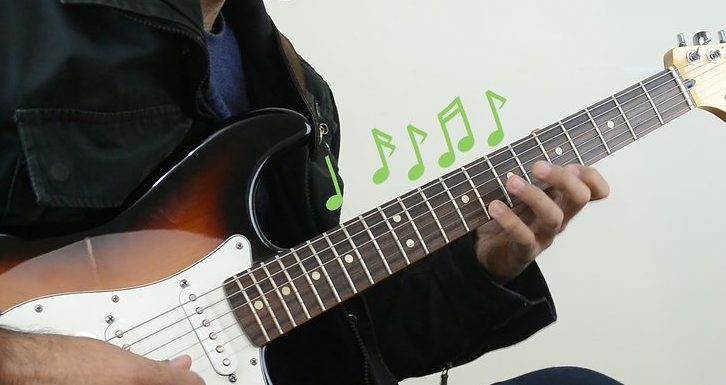 We will look at all aspects of lead guitar playing, including technique, tone, useful scales, rhythmic and melodic ideas and the 10 elements of music that you can use every day to improve your playing and really heighten your enjoyment of your instrument. Did you know there are only 12 notes in music? Those are the same 12 notes that Beethoven had, the same 12 notes that Lennon & McCartney had and the same 12 notes that you have at your disposal. Learning which notes you can use in any one piece of music is like learning a language by reading a dictionary. You may have all the words but you will struggle to form them into sentences. Using the 10 elements of music, we learn how the best lead guitarists can solo, improvise or riff over any piece of music using far fewer notes than you would imagine….. and you can too!! We will look at some of the greatest guitar solos, riffs and melodies as well as studying the players themselves. We will analyse the influences, equipment and techniques employed by the legendary icons of guitar throughout history. 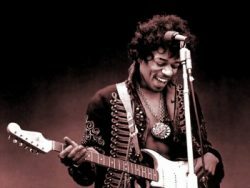 Guitarists such as Hendrix, Clapton, Van Halen, Bonamassa and Gilmour, who have shaped the role of the lead guitar into the expressive instrument we know today. Take control of your playing, expand your knowledge and skills on your instrument, meet like-minded guitarists and maybe discover some artists that you aren’t familiar with. All at the Igloo Lead guitar Club. You can join at any time, and stay as long as you wish. To find out more about membership, please contact us.